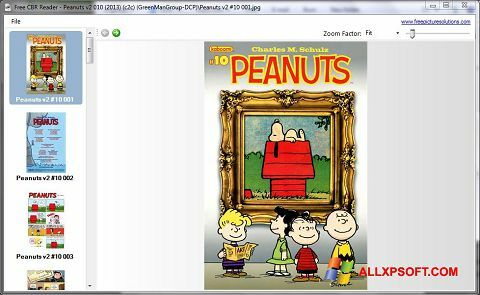 CBR Reader for Windows XP allows you to view comics. All known formats are supported. The utility has a simple interface and easy navigation. The main menu is divided into 2 parts. In the left part is a browser that allows you to add comics. The user needs to specify the path to the file. The work process is simplified thanks to the support of hot keys. Materials can be viewed in full screen mode. You can free download CBR Reader official latest version for Windows XP in English. Publisher Software: Progdigy Software S.A.R.L.